Love these vitamins. They truly help hair, skin, and nails... I have already purchased more!! I highly recommend these vitamins to anyone needing some extra health added to vitamins! These gummies are pretty good, taste pretty much like every other gummy. I would buy them again. I did notice my hair and nails seem to grow faster. I love these little nuggets. 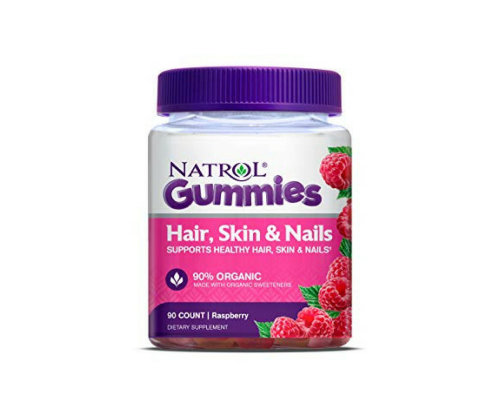 Not only do they taste great and curb my nightly candy crave, the skin, hair, and nail ingredients really do what they claim. My skin had a glow and my nails began growing like crazy. I can't attest to the affects on my hair, I believe it takes much longer to see but the nails and skin were pretty quick. My only small gripe would be that sometimes I would forget to take them and remember after having brushed my teeth. On those nights I reverted back to my capsules. Other than that, these are delicious and work!